Armstrong in the final moments of the 2003 Tour De France. Lance Armstrong is one of those guys. A professional cyclist with near-universal recognition, he made no secret of his desire to win at all costs. It’s pretty impossible to talk about Lance Armstrong without reminiscing fondly about his remarkable rise, his brush with early death, and his extraordinary accomplishments. Talking about his fall from grace is just as difficult. It’s also impossible to separate the man from his sport’s most distinguished, grueling race: the Tour De France. The Tour De France started in 1903 as a way to increase sales of L’Auto, a French newspaper. By 1904, riders were routinely caught taking advantage of any shortcut they could find: trains, cars, and even severe beatings of rival racers. Drinking and drugs were looked upon as necessary evils employed in the interests of just getting through it. Lance and the Tour De France are forever linked – he won more of them than anyone else – and he did more to raise the profile of competitive cycling than anyone. He also did more to ruin its reputation than anyone ever could have imagined. 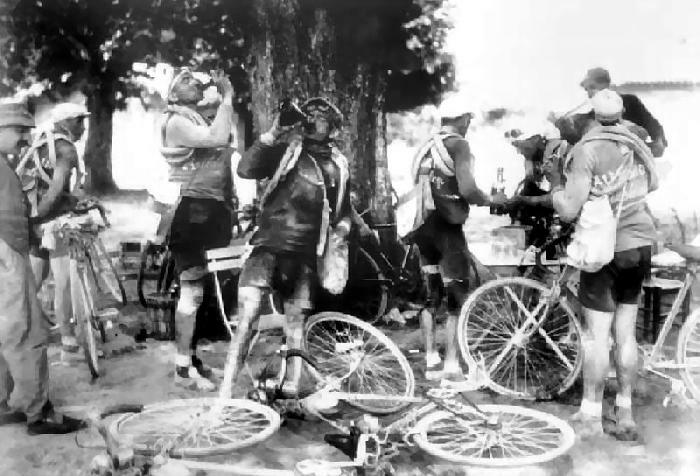 Riders taking a wine and brandy break during the 1924 Tour De France. 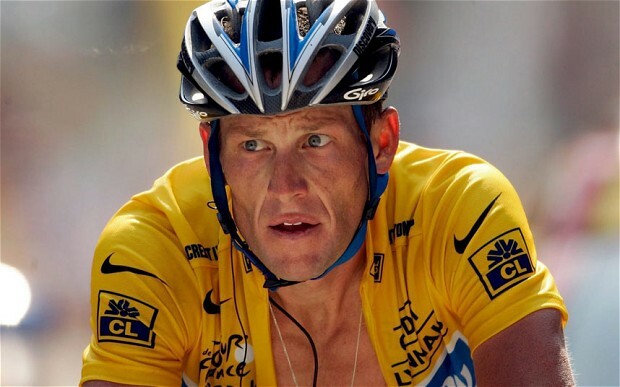 This week, we’ll discuss Armstrong’s unlikely ascent, and his career’s shameful epilogue: from cocaine in the eyes to emergency orchiectomies, from Oprah to Aspen, we’ll get into everything.